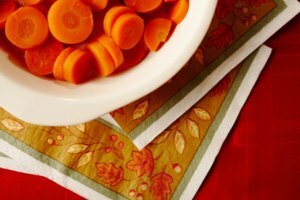 Blanching is one of the simplest, healthiest, and tastiest ways to prepare carrots. 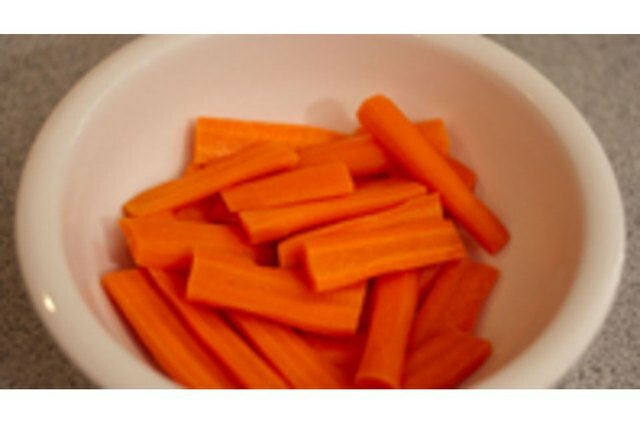 Just follow these simple steps to turn fresh carrots into a tasty side dish. Prepare your carrots for blanching. If you're using baby carrots, put them in a colander and run cold water over them for roughly 30 seconds. Let them sit and dry for a few minutes, or pat dry with a paper towel. 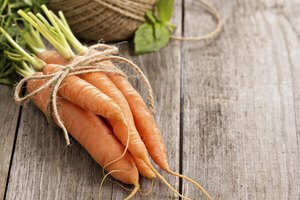 If you are using full-size carrots, then wash each individual carrot by hand, making sure to remove any dirt. Pat dry with paper towel, then take carrot to cutting board. Cut at least 1/4 inch off of the top and bottom of the carrot. Trim away any places that seem damaged or unappetizing. 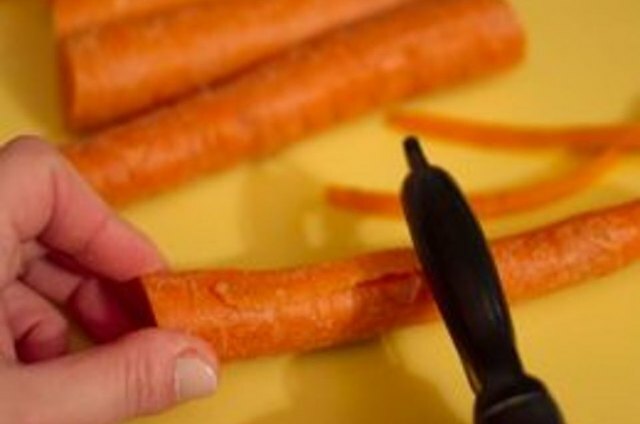 If desired, remove the carrot's skin with a carrot peeler. 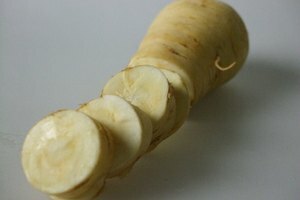 You may choose to blanch full-size carrots whole or in smaller pieces. To ensure uniform texture and taste, try to keep carrot pieces roughly the same size. Baby carrots are usually uniform in size, and this makes them ideal for blanching. 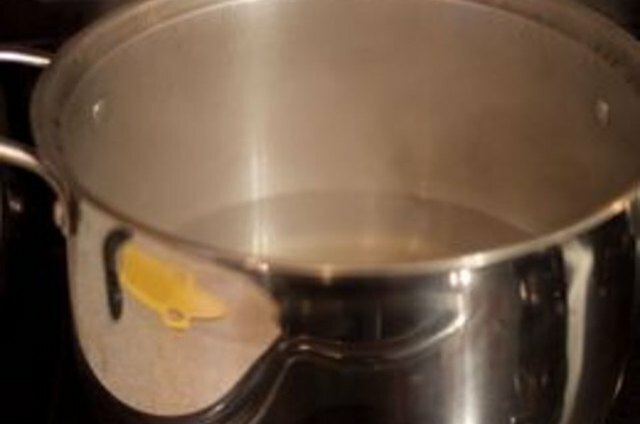 Take your pot or saucepan and fill it with water, no more than 3/4 of the way full. 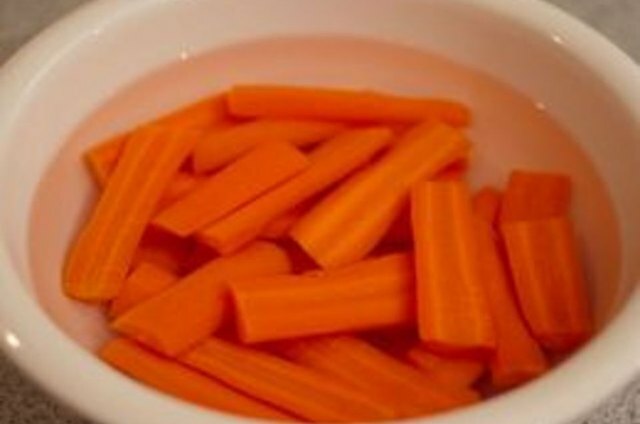 You only need as much water as will cover your carrots to blanch them. Heat water on stovetop on highest heat. 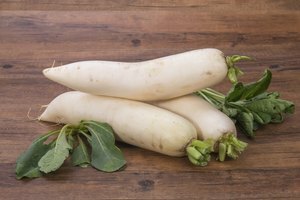 If you wish, you can add salt to the water to season the carrots to taste. Wait until water is at a full rolling boil. Add carrots to water and set timer for two to five minutes. Generally, you should allow more time to blanch whole full-size carrots pieces, and less time for baby carrots or cut-up carrot pieces. Stay near the stove and take the carrots off the stove immediately when the timer goes off. Place carrots in bowl and fill with icy cold water. Set timer and let carrots cool for a period of time equal to the amount of time they spent blanching. 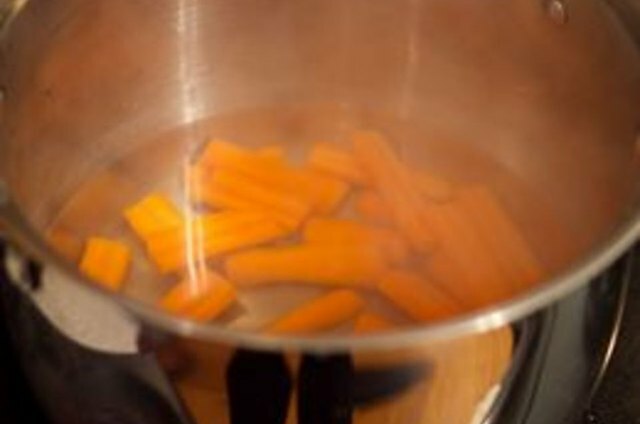 If you blanched carrots for two minutes, let them cool for two minutes. When timer goes off, drain cooled carrots using colander. Pat dry with paper towels. Serve immediately if desired, or set aside to use in preparation of another recipe. If you have a great quantity of carrots on hand, consider blanching and then freezing some to eat later in stews or soups. Carrots only take well to frozen storage if blanched first. Do not attempt to blanch frozen or canned carrots. Only fresh carrots can be blanched. Do not leave carrots in boiling water for any longer than five minutes, for any reason. If carrots are left in water too long, they will begin to boil and lose the distinct firm texture and crispness that blanching preserves.